Google, Facebook, Microsoft, Amazon… organizations that unquestionably hoard the lion’s share of personal data on the web. They pore through your purchases, scrub your searches, extract your emails, aggregate your albums. We allow these actions. You read the Facebook Data Policy when you signed up for an account, right? What awesome ambiguity. Deleting your account should delete all data they have on you. So let’s say you want to put the nail in the corporate cyberstalking coffin. Despite your bloodlust, Facebook could argue that they need to store your data ad infinitum for legal reasons. How frustrating. Keeping our data secure is important to us, lest we want another Equifax incident. However, we are not the only players in this game. Our data is valuable to both us and the giants, so they treat our data with the utmost care. Our data remains locked inside sprawling data center campuses guarded by peering iris scanners, keen infrared cameras, and raw manpower. Under such tight security, we cannot truly verify if our delete requests fall upon deaf ears. Do you trust that your data will actually be wiped forever? Should we then blindly vest credibility in mere words of acknowledgement? 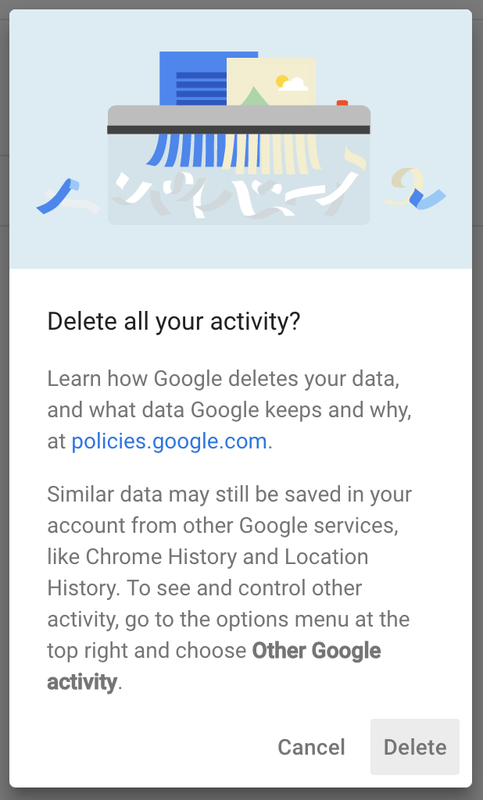 When we request deletion, how can we trust the confirmation dialog? How indeed, when Facebook creates “shadow profiles” on you, even if you do not have an account? Perhaps then, if we posthumously delete our data, we will only be inadvertently punishing the people closest to us. Our closest friends and family will be barred from reliving the good times in our attempt to defy the corporations that prosper by microscopically examining every minutia of our breathing minutes. Our ancestors left behind their legacy on cave walls. These walls give us a glimpse into daily life back when we socially surrounded radiant fires to abate the stinging cold nights- nights pregnant with caws, howls, and roars. Circumstances forced us to huddle together for mutual protection. This protection built society. Not much has changed. The only thing that has changed is the medium and reach of our stories. Our stories and albums can now be viewed from every corner of the globe and copied instantly. What great strides we have made! Still, this is not all great. Fake news makes headlines all the time. Comments crafted by corporations and “troll-farms” seek to constantly sway our opinion. Propaganda mars the line between truth and falsehood. In this tumultuous world, it would make sense why more and more are choosing to delete their social media. As the rays of data stream in, we expend our excess mental capacity tilting the prism to filter reality from the imaginary. Buried deep in the heart of this fray lies our unmolested opinion and truth. Truth and opinions define society in the now, and will ultimately drive where we go. How many deceased peoples’ memoirs, journals, and research sprinkled with unique perspectives continue to better our world? Aim then to be a name remembered well. Tell your story unforgivingly. In death, we should not seek privacy, for privacy shelters the psyche, which in death we no longer possess. Death is nothing to be ashamed of — we have nothing to hide. Instead, following our inevitable doom, we should surrender ourselves completely to afford society a potentially new way forward.